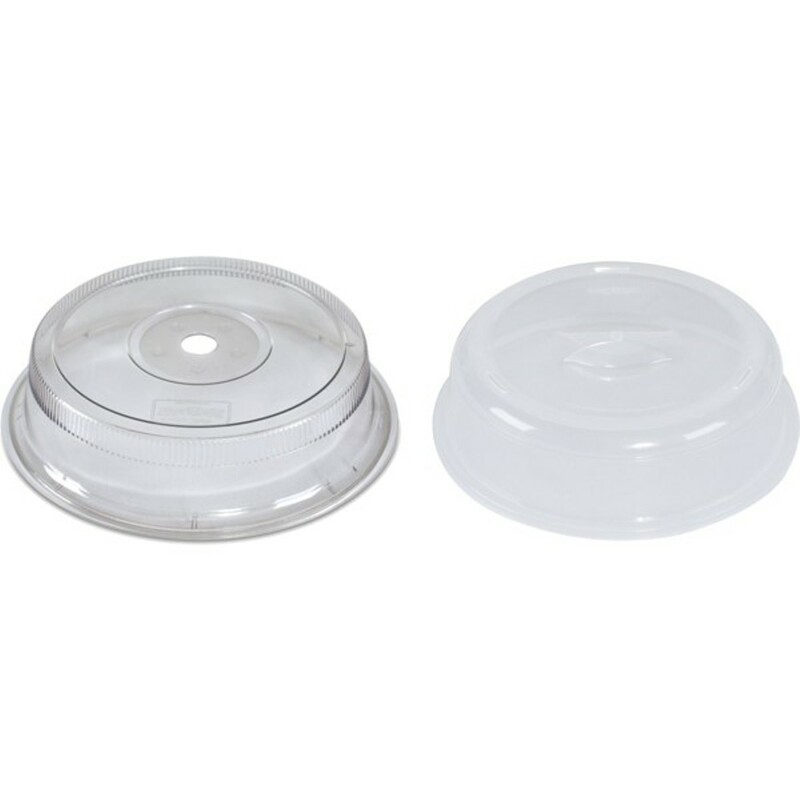 Concentrate heat around microwaved food and keep it moist with these transparent, high-domed plastic covers. Because they protect against splattering, they’re a useful accessory for Nordic Ware’s two-sided round microwave bacon/meat grill. They also enable two plates of food to be cooked or warmed in a microwave at once: cover one and stack the second atop the cover. The cover is virtually unbreakable and is safe in the freezer and dishwasher. Bundle of Nordic Ware 10.5 Inch Microwave Spatter Cover and 11 Inch Deluxe Plate Cover. 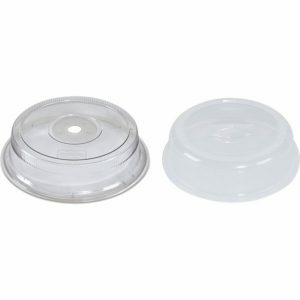 10.5 Inch Spatter Cover fits standard dinner plates; 11 Inch Plate Cover has steam vents and fits plates up to 11 inch diameter. Both Microwave Covers fit the Nordic Ware 2-sided round Bacon-Meat Grill.